Nestled at the base of Mt. 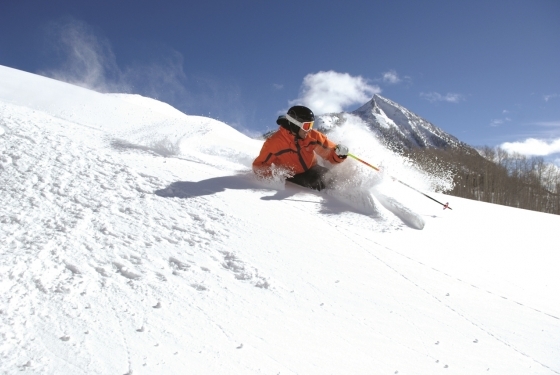 Crested Butte, Crested Butte Mountain Resort has over 32,000 square feet of meeting space within the base area. 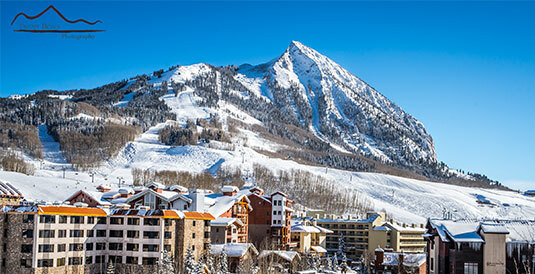 Our namesake mountain rises just above the resort at 12,162 feet. This unique setting affords some of the most breathtaking vistas in Colorado. 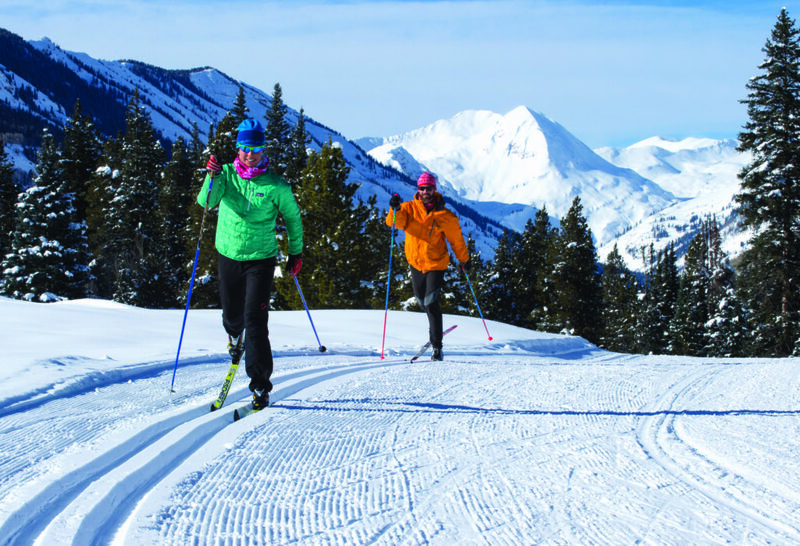 Our one-of-a-kind location, year-round outdoor activities, and integrated conference services team, Crested Butte Mountain Resort has everything you need to create a group experience that stands out from the ordinary. Mt. 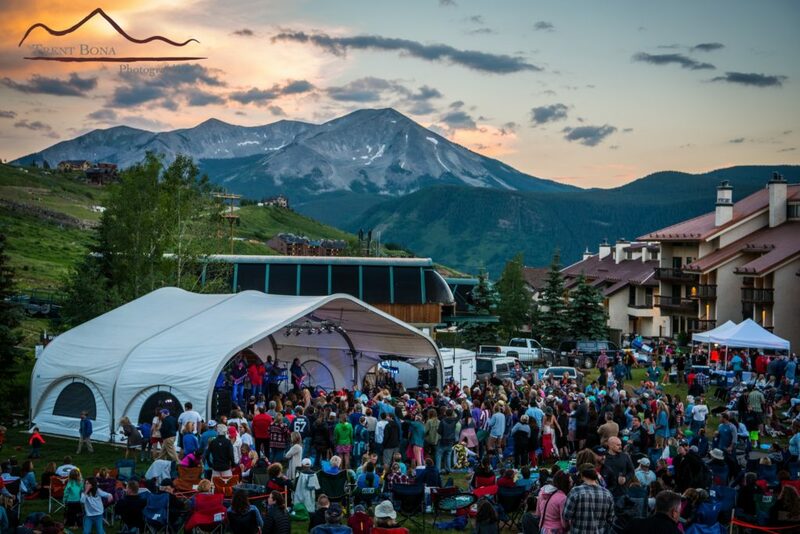 Crested Butte is the home of world-class downhill skiing, snowboarding, cross country skiing, mountain biking, hiking and golfing in addition to world class Art’s Festivals and Music Festivals, and so much more. We also offer a variety of on-mountain venues to create unique group events and breakouts with amazing mountain views. 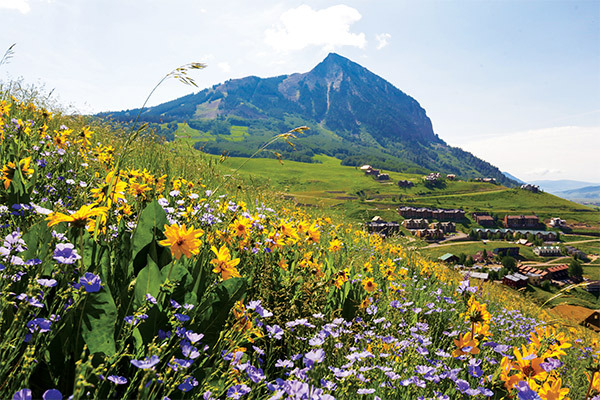 Our creative sales team can put together unique packages that include morning yoga, an Edu-tour of the Rocky Mountain Biological Lab, a historical tour of Crested Butte, a group wildflower hike, scavenger hunt and a variety unique team building events…to name a few! Our state-of-the-art conference center, located in The Lodge at Mountaineer Square, accommodates groups from 20 to 400 equipped with the latest technology for all your meeting and conference needs. Over 9,000 square feet of meeting space is available in this facility, including the 5,000 square foot Grand Ballroom, Trackers Bar & Lounge, the Al Johnson Boardroom, and pre-function space. This full-service hotel located next door to Mountaineer Square at the base of Mt. 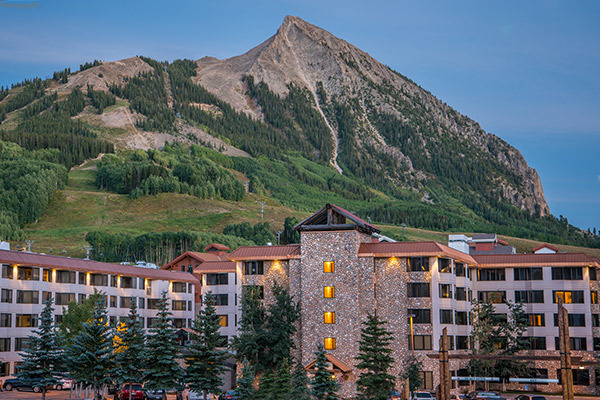 Crested Butte is only 200 yards from the lifts and offers a combination of 226 oversized hotel rooms and spacious suites to accommodate groups with a second affordable option within walking distance of the Conference Center. Additional breakout rooms are available in Grand Lodge with four identical meeting rooms and an onsite boardroom. The Woodstone Grill, located on the lobby level of the hotel offers breakfast, dinner and a lounge area featuring a billiards table offering an ideal option for a small reception or group gathering. During larger events, we combine the Plaza Condominiums with our sister properties, the Grand Lodge and the Lodge at Mountaineer Square to create a campus feel with multiple price points on lodging. In addition to the 1000 square foot meeting room onsite, the Mountaineer Square Conference Center located just 150 yards has 9,000 square feet of event space to accommodate your general session, breakout meeting rooms and banquet meals. Please browse the function space tab for all base area and on-mountain venues to accommodate your conference needs. Trackers Bar & Lounge can be used for private functions and informal gatherings. The large pre-function areas, home to the Alpenglow Gallery, both south and west, have proven to be favorites for larger groups and are perfect for exhibits and trade shows. There’s also an outside deck that offers stunning views of the valley. The Grand Lodge Hotel and Suites features five on-site meeting rooms. Four of the rooms are 1,024 square feet each and can be set in any room set desired. The fifth room is the Coal Creek Boardroom, which offers 375 square feet of space with a large boardroom table that is permanently set for 12 people. The Woodstone Grill offers breakfast, lunch and dinner daily (may vary seasonally). The semi-private alcove features a pool table, fireplace and cocktail rounds. This is a wonderful spot for welcome receptions, parties and private gatherings. The Plaza Condominiums features one one-site meeting room, which is 1,000 square feet. It is also the home of …. The Iron Horse Bar and Restaurant is also located onsite at The Plaza. This tented site is beautifully tiered to provide ease of entertainment for you and your guests without losing the mountain feel and flavor. This stunning mountain-top venue offers amazing views of the surrounding peaks and the valley floor. Ten Peaks can accommodate up to 250 guests…perfect for group dinners and receptions. A glass enclosed venue with a retractable umbrella rooftop and large adjoining deck offer an ideal mountain-top location to entertain clients with stunning mountain views like no other. In the winter months, a sleigh ride option is available to transport your guests. A great option for smaller groups of up to 200 guests for a casual gathering in a spectacular setting. Conveniently located in the heart of the base village, our popular Event Pavilion offers 5500 square feet of covered outdoor space that is ideal for summer dining events, parties and smaller private concerts. Ideal for groups of up to 300 guests. Make it a special event with a private concert for your attendees. The Red Lady concert venue is located at the base of the mountain, steps from our lodging facilities for easy access. Enjoy your favorite band in a spectacular setting with the Mt. 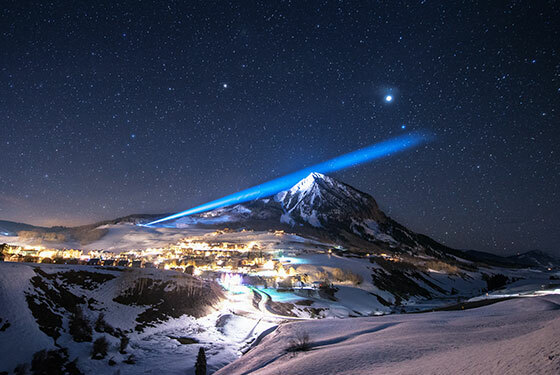 Crested Butte peak creating a scenic backdrop for an unforgettable event your group will surely enjoy. Looking for a unique location with spectacular views, look no further. Uley’s Cabin located mid-mountain is a perfect venue for a unique group dinner, reception or meeting. Guaranteed that your board will not be bored with this spectacular location. Ideal for intimate groups of up to 60 with plenty of space adjoining the venue for an event tent addition that can accommodate up to 200 guests. The perfect location for your group lunches, dinners and break-out meeting rooms, with large windows and a spacious deck looking out on breathtaking views of Mt. Crested Butte. You can tent the large deck for a more formal function or dinner. An ideal teambuilding venue, the Adventure Park offers activities to pull the team together with exciting outdoor activities and challenges. 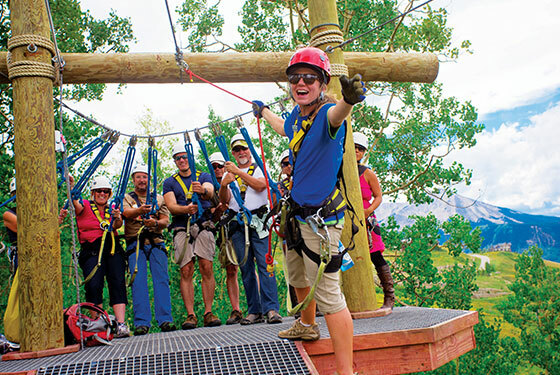 Enjoy zip-line tours, chairlift rides, bag jump, disc golf, hiking trails, Evolution Bike Park and more. Largest Banquet 5,000 sq. ft.
Largest Reception 3,500 sq. ft.
Mt. 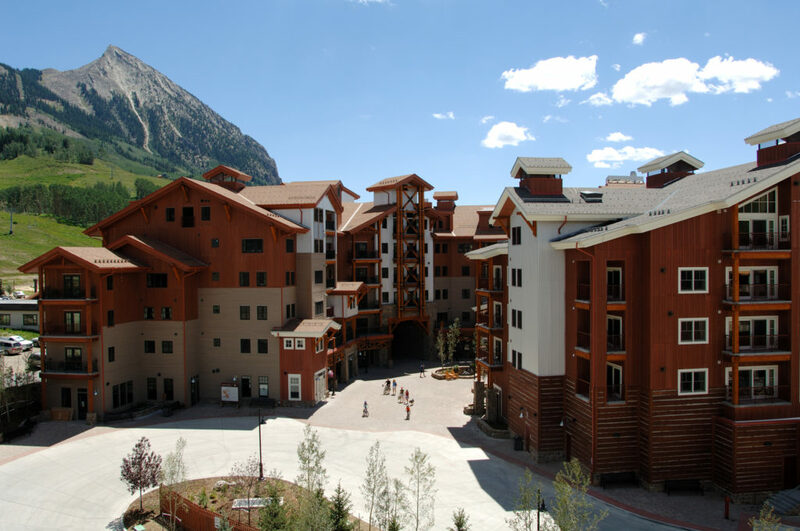 Crested Butte’s newest and most luxurious condominium hotel offers a variety of lodging options from hotel rooms, studios and fully equipped condominiums to a 3-bedroom penthouse unit ideal for larger gatherings. Our state-of-the-art conference center, located in The Lodge at Mountaineer Square, accommodates groups from 20 to 400 equipped with the latest technology for all your meeting and conference needs. Over 9,000 square feet of meeting space is available in this facility, including the 5,000 square foot Grand Ballroom, Trackers Bar & Lounge, the Al Johnson Boardroom, and pre-function space. Onsite amenities include bell and concierge services, fitness center with pool and hot tub, full-service front desk staff and adjacent shops in Mountaineer Square. This full-service hotel located next door to Mountaineer Square at the base of Mt. 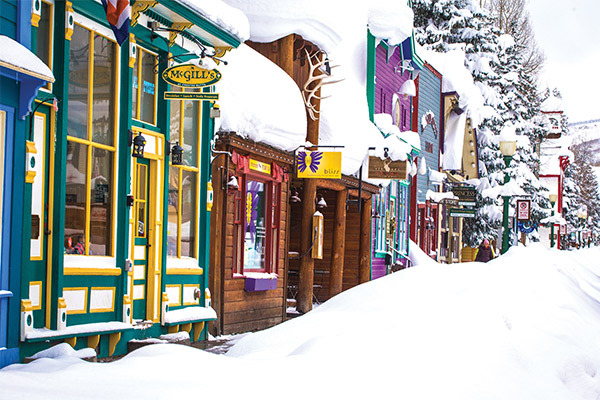 Crested Butte is only 200 yards from the lifts and offers a combination of 226 oversized hotel rooms and spacious suites to accommodate groups with a second affordable option within walking distance of the Conference Center. Additional breakout rooms are available in Grand Lodge with four identical meeting rooms and an onsite boardroom. The Woodstone Grille, located on the lobby level of the hotel offers breakfast, dinner and a lounge area featuring a billiards table offering an ideal option for a small reception or group gathering. Exceptional amenities include a year-round indoor/outdoor heated pool, the Wildflower Spa, fitness room, business center. Our full-time seasonal concierge, bell staff, ski and bike valets, and full-service front desk staff are available to provide for your every need. Groups love the Plaza for its convenient location just 100 yards from the ski area’s main lift, the Silver Queen. Spacious two- and three- bedroom suites include everything you need to be independent, while on-site front desk, restaurant and lounge, daily housekeeping services, covered parking and two hot tubs provide all the benefits of a hotel. The Grand Lodge is the perfect venue to accommodate your wedding guests. Our oversized Emmons guestrooms with two king beds and kitchenettes are ideal for families. We also have a large selection of two room king suites equipped with a king bed and double sofa sleeper. Transportation can be provided to transport your wedding guests to anywhere in the valley (additional costs may apply). The Plaza condominiums are perfect to accommodate your wedding guests that are traveling with families. They are equipped with all of the conveniences of home. This site offers expansive meadows of wildflowers and 360 degree views of Paradise Divide and the Elk Mountains. This tented site is beautifully tiered with bricks to provide ease of entertainment for you and your guests without losing the mountain feel and flavor. This stunning venue can accommodate up to 250 guests. 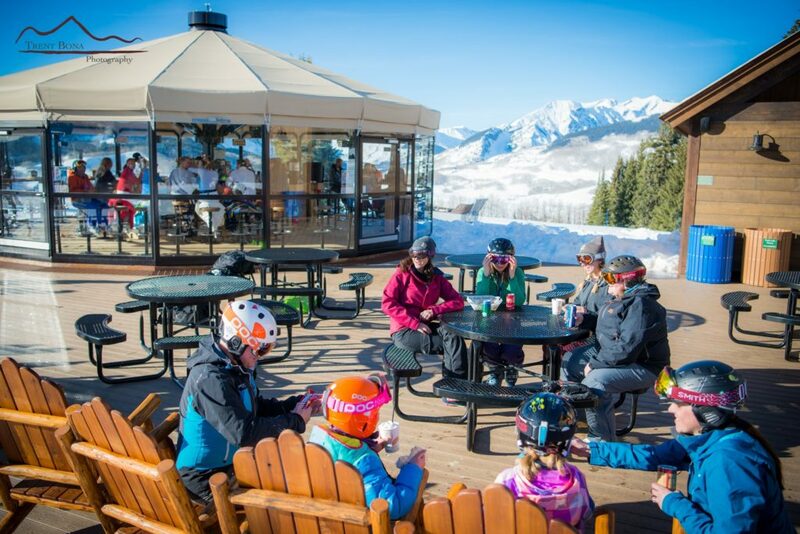 Located at top of Painter Boy Lift, our newest on-mountain addition is an umbrella bar with a retractable roof to enjoy those amazing Colorado bluebird days! 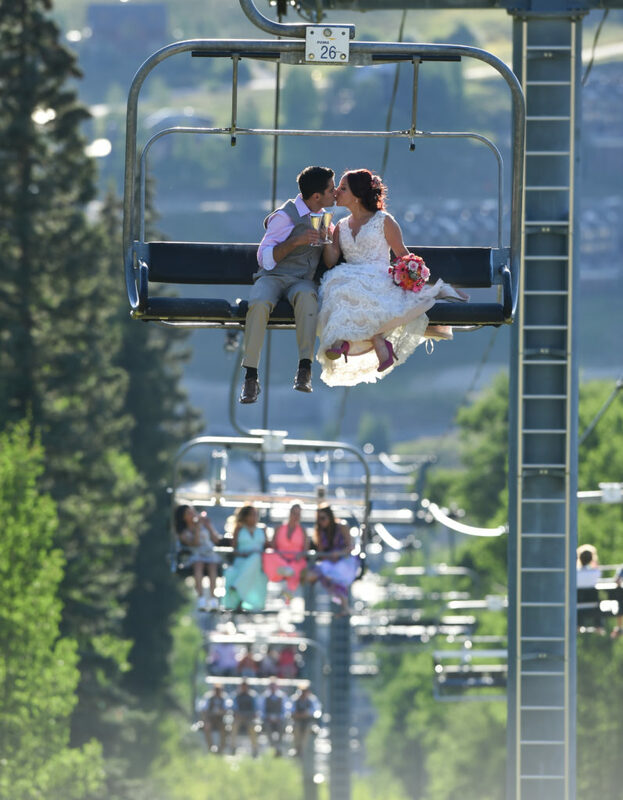 The structure with glass walls and 360 degree views of both the surrounding mountains and the town of Crested Butte makes for a perfectly cherished event. A wonderful location to entertain clients with stunning views like no other. In the winter months, a sleigh ride option is available to transport your guests. This venue is available for private event bookings in the late afternoons and early evenings and can accommodate up to 200 guests when utilizing the deck. Located mid-mountain at the base of the Twister Lift, Uley’s Cabin takes its name from local historical figure and bootlegger Uley Scheer. Uley’s reputation as a provider of food and moonshine are the inspiration for the dining and entertainment at Uley’s Cabin. The menu features Colorado cuisine with French influences and changes often. Your group can enjoy the secluded panoramic views on the large deck and also cozy up indoors in the rustic atmosphere. During the evening winter months, Uley’s can be accessed by sleigh where your guests will enjoy a 5-course meal. The perfect location for your group lunches, dinners and break-out meeting rooms, with large windows and a spacious deck looking out on breathtaking views of Mt. Crested Butte. 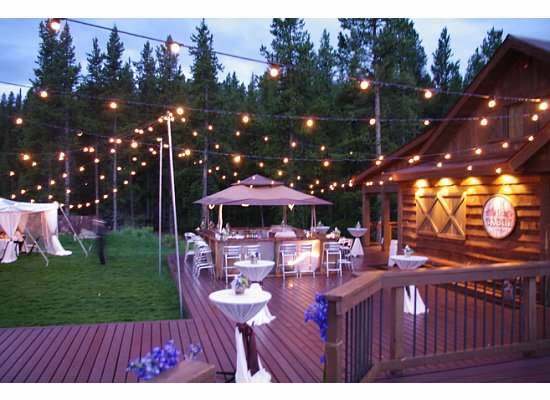 You can tent the large deck for a more formal reception. This is the best deck in the base area to soak in those Colorado bluebird days and lounge slope side to watch family and friends cruise down Warming House Hill in the winter, or watch the kiddos bounce on the bungee trampoline during the summer months.